Given the increased awareness in the marketplace — regarding the importance of protecting the environment — there has been an increase in the number of ways to design with sustainability in mind. The article below was printed several years ago but is still relevant today. It was taken from the brochure “From the Floor to the Consumer’s Door…Environmentally Responsible Design” a joint booklet made possible through the partnership of AIGA, Domtar, Gensler and Sandy Alexander. Be creative with a conscience. Design with sustainable materials and processes in mind. Help your clients send a valuable message to their customers by developing and promoting eco-friendly solutions that benefit all stakeholders. Plan ahead to minimize resources. Last-minute messengers and overnight services expend extra fuel (and are costly, too). Think about the lifecycle of the design. Consider the impact your work will have on the environment-from creation to expiration-and make decisions about print processes and paper accordingly. Look beyond post-consumer waste percentages. Recycled content is just part of the environmentally preferable picture. Forestry practices, energy used in manufacturing and transport, as well as chemical content, are all factors when it comes to picking an eco-friendly paper. Is there a difference between recycled and recyclable? 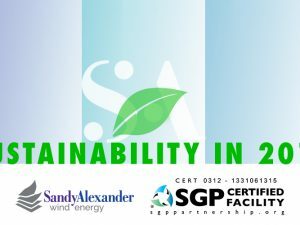 What’s ISO 14001 and SGP (Sustainable Green Printer) certification, anyway? 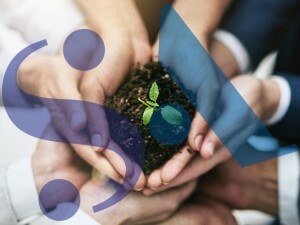 You want a printer who is as committed to the environment as you are, and who is transparent when it comes to their own policies and programs. Select printers with third-party certification for positive environmental practices such as 100% wind energy and chain-of-custody sustainable paper and that publish on-going Sustainability Reports. Look for “Chain of Custody” certification. This means that a printer meets all standards for chain-of-custody sustainable paper and that every link in the supply chain-from forest to final destination-is also certified. Certifiers include the Forest Stewardship Council (FSC), Sustainable Forestry Initiative (SFI) and the Programme for the Endorsement of Forest Certification (PEFC). 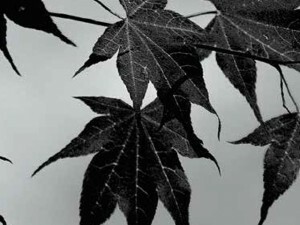 Using chain-of-custody certified fiber from well-managed forests is an excellent complement to recycled fiber, making more than one statement about sustainability on a single page. Get creative and capitalize on excess. Evaluate paper alternatives using one of the many calculating tools available, including those from The Paper Calculator and the Environmental Paper Assessment Tool. Create a waste reduction program. 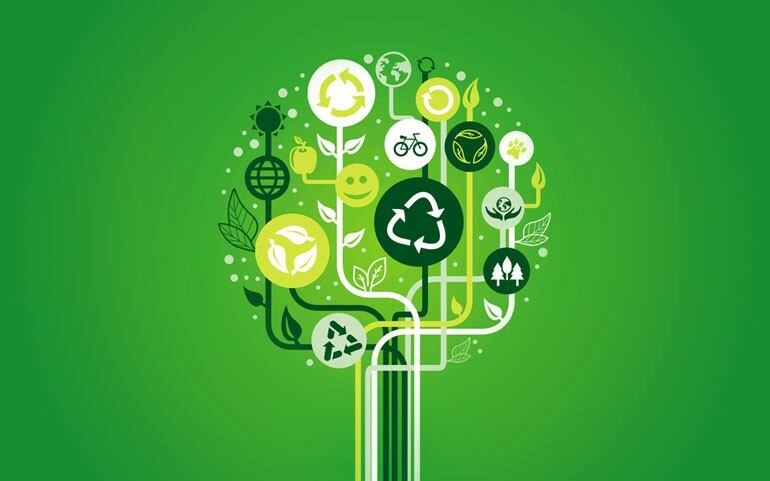 Your company may be committed to recycling, but a comprehensive waste reduction program is an overall plan that incorporates waste reduction strategies, reuse measures and green purchasing. Today’s recycled papers are comparable in runnability to virgin fiber counterparts and require very few ink adjustments on press. Many paper mills manufacture paper with up to 30% post-consumer waste. 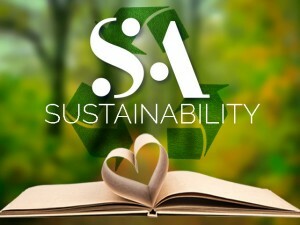 There are thousands of chain-of-custody sustainable certified products available, from paper to furniture – even guitars. Every year enough paper is thrown away to make a 12-foot-high wall from New York to California.